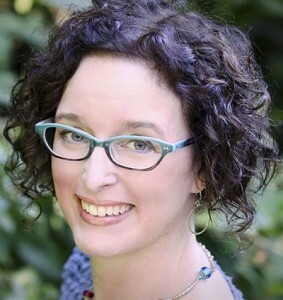 I first “met” Lisa Alber via the comments section on the Jungle Red Writers blog. Those that follow BOLO Books know that I frequent that wonderful site run by a great collection of female authors. I was even asked by Hank Phillippi Ryan to guest blog on Jungle Red Writers. Anyway, long story short, Lisa and I got to talking via e-mail and then eventually met in person at Bouchercon Albany. 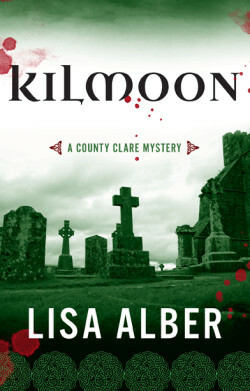 Today, I am happy to have Lisa Alber join us for an interview about her debut mystery, Kilmoon. BOLO Books: Tell us a bit about Merrit Chase, the main character in your new mystery novel, Kilmoon. Lisa Alber: Merrit Chase has never understood her parents’ relationship. Her dad didn’t care about her, and her mother, who died when Merrit was thirteen, always seemed unhappy. Merrit arrives in Ireland after a traumatic event that occurs in the first chapter of Kilmoon. She’s just learned that her biological father is actually a celebrated matchmaker who resides over an annual matchmaking festival in Ireland. As the story starts, Merrit is troubled and not prepared for what she will soon discover about her new dad. However, beneath her fragile exterior, she’s got a core of steel and a streak of uncanny intuition—just like the enigmatic matchmaker. BOLO Books: Kilmoon is set in County Clare Ireland. Why did you choose this setting? Lisa Alber: I became intrigued with County Clare when I read a memoir called Whoredom in Kimmage by Rosemary Mahoney. I set my first written novel (a.k.a. my practice novel) in County Clare based on Mahoney’s descriptions of the landscape. Later, I truly did fall in love with Clare when I traveled there for novel research. The area drips with atmosphere and mood, which is essential fodder for me when I’m developing a story. 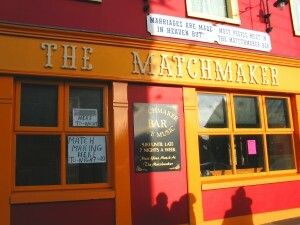 That said, I might have chosen a different area of Ireland for my next novel if I hadn’t discovered a pub called “Matchmaker Pub” and an annual matchmaking festival. I was immediately hooked by the possibilities. BOLO Books: You have received an Elizabeth George Foundation writing grant. How has that impacted your career? Lisa Alber: Oh, gosh, the grant! The biggest thing it did for me was boost my morale. I started to believe that my writing might be worthwhile. I got to quit working for a year. What a fantasy come true! My craft improved so much that year. On a practical level, my query letters to agents led with the grant, which I’m sure helped me land my first agent. BOLO Books: I know that you consider Elizabeth George a mentor. What is the best piece of advice she has given you? The people who get published are the people who don’t give up. Say “yes” to every opportunity that comes your way, especially in the first few years of your career. BOLO Books: You are definitely taking that last piece of advice, as evidenced by your saying yes to this interview! A large part of the plot for Kilmoon involves a matchmaking festival. Have you ever attended one? It seems like such an obscure reason for a celebration to those of us here in the States, but it must be more common in Ireland? The site that inspired the plot of Kilmoon. Lisa Alber: I mentioned discovering the matchmaking festival during my first trip to Ireland. Fast forward a few years—I’ve shelved the practice novel and completed the first draft of Kilmoon. I needed to check out the annual matchmaking festival for myself. It occurs in Lisdoonvarna (fictionalized to Lisfenora in Kilmoon) and, man, you wouldn’t believe how crazy that sleepy village became during the festival! It was nuts and super fun. I’m not sure if the celebration is more common in Ireland than here. My feeling is that John Daly, the matchmaker, became so locally well-known that the festival grew up around him. Now it’s an institution. He’s a local celebrity for sure. BOLO Books: By setting the story in a small village, you have artificially limited your pool of potential murderers. Are you generally a fan of these types of mysteries with a closed circle of suspects? Lisa Alber: Good question! I’ve never thought about this before. My formative introduction to the world of mystery started with Agatha Christie, so that must have sunk in without me realizing it. I do like intimate mysteries, that’s true, because I’m fascinated by the secrets every-day people (people like me) keep. I’m not so interested in global conspiracies and spies and that kind of thing. The thing about village life in Ireland, especially in rural areas like Clare, is that the community encompasses many villages. County Clare itself is close-knit. I have a larger area to play around with than you might think. Also, the festival brings in a huge influx of strangers every year, and that opens up many, many delicious possibilities. 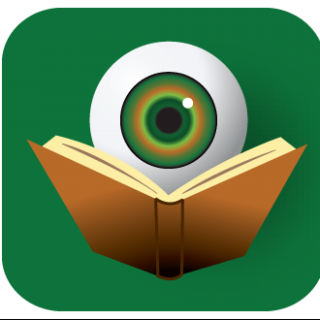 BOLO Books: In the last year, you have begun to attend some of the mystery conferences, such as Bouchercon. What do you like (and dislike) about these gatherings? Lisa Alber: The main thing I dislike about conferences is how tired I get. I’m a classic introvert that way. I love meeting fellow writers, especially when I’ve previously “met” them online via Facebook or Twitter. It’s like a reunion! A few weekends ago (the weekend I saw Elizabeth George) I had a taste of what it’s going to be like to be a published novelist. I was in the position of answering questions about publishing and writing rather than asking the questions. It was surreal. I’d love to be able to give back. BOLO Books: I am a huge fan of the cover for Kilmoon. What are your thoughts? Lisa Alber: It’s the perfect cover for the book, isn’t it? It evokes a mood, and I like that. And I love the blood spatter for added color and intrigue. Given that this story is about a woman who travels to Ireland to meet her biological father, a celebrated matchmaker, it might have been too easy to create a cover with a woman looking lost in a vast Irish landscape. In fact, one of the initial comps was just that. It looked like gothic romance. Also, it might have been too easy to depict a quaint village, which could have given readers the impression that Kilmoon is a lighter cozy mystery. BOLO Books: How are things going on the second County Clare mystery? Any hints of what readers can expect? Lisa Alber: You caught me at the perfect time to answer this question. I just completed a four-day writers retreat led by New York Times bestselling author Susan Wiggs. I worked on the second draft of Clare #2, which I’m calling Grey Man for now. Still a bumpy ride, but I’d say the story is coming along well. Torture your characters … bwah-ha-ha-haaaa. Thanks so much for inviting me here today! I had fun answering your questions. So great to have you visit BOLO Books Lisa. Followers, please stop back again on Friday for the BOLO Books review of Kilmoon. I really enjoyed hearing about the unplanned discoveries that help form and energize a story. I can’t wait to read this book! Thanks, Christina! Hope you like it!